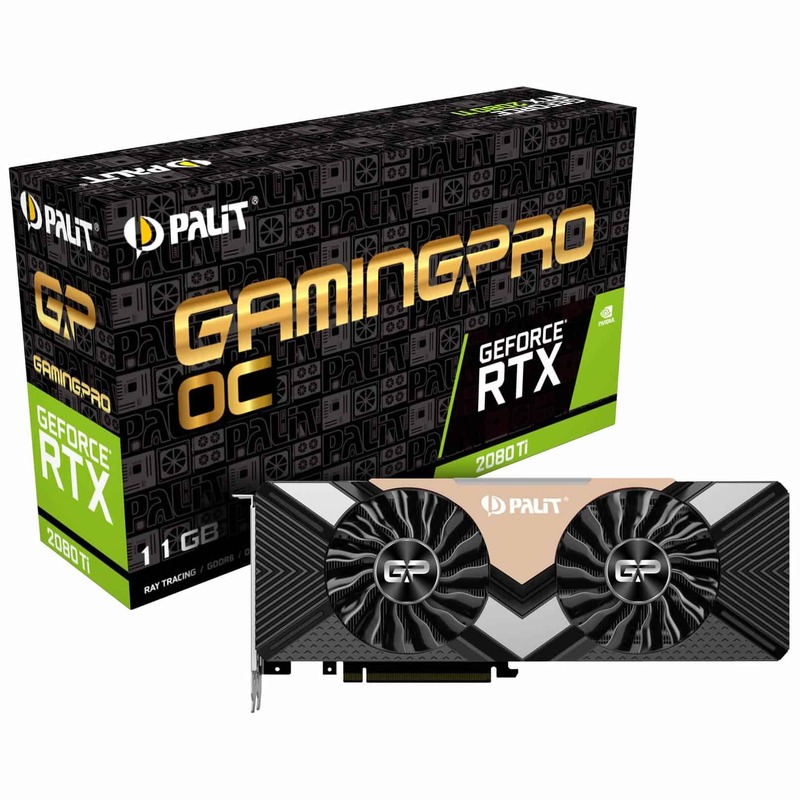 The Palit GeForce RTX 2080 Ti Gaming Pro represents the cutting edge of graphics card technology from NVIDIA. The 12 nm FinFET manufacturing process is used in the TU102 GPU on the RTX 2080 Ti, this is based on the new Turing architecture and, in combination with the GDDR6-VRAM, this results in incredible speed increases when compared with the 10- series. The Ray-Tracing technology supported by this chip enables incredibly realistic light- and shadow effects. It is from this capability that the name change to “GeForce RTX” emerges. The Palit GeForce RTX 2080 Ti Gaming Pro has a base clock of 1350 MHz. Under heavy load scenarios, the clock frequencies of the GPU automatically increase using GPU Boost 3.0 to up to a boost clock of 1545 MHz. The ultra-fast GDDR6-VRAM operates at 7000 MHz (14000 MHz effective), while the 11 GB capacity helps ensure that immersion in Virtual Reality and gaming at 4K become a treat for the senses. In terms of cooling, this version utilises a powerful and efficient triple-fan design.